Broadcast Solutions planned, installed and commissioned a 10 KW FM radio station with a studio complex at two locations in Bangladesh. For planning and implementing the project Broadcast Solutions teamed with local agent “Paradise Engineering Ltd.”. 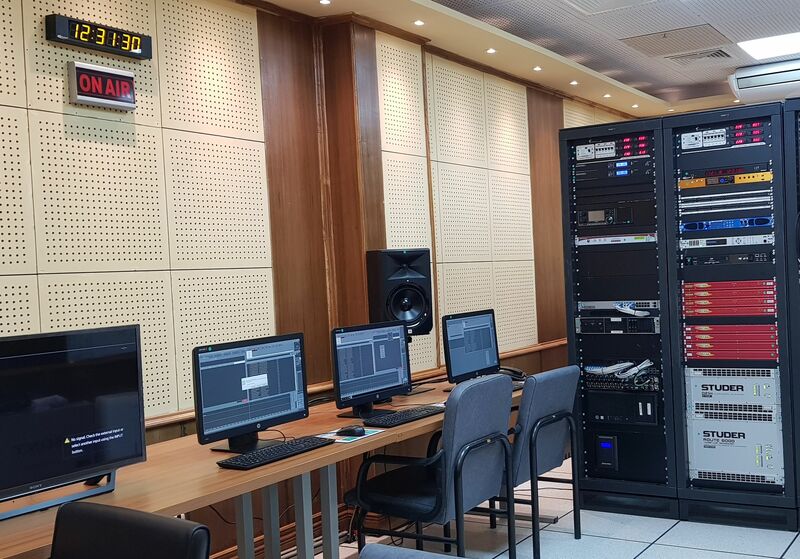 The new radio stations represent a significant improvement to Bangladesh’s radio infrastructure. 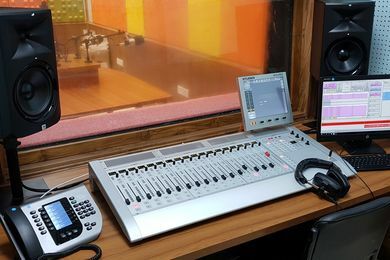 The radio stations in Gopalganj and Mymensingh, each with six studios and one MCR, offer more than 500 sqm of space for on-air, news, edit, radio and music productions. 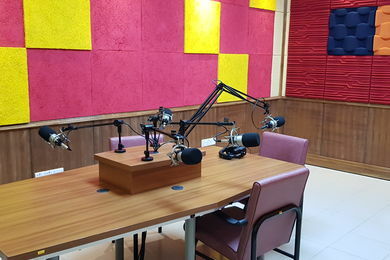 The two new studios are a major investment in Bangladesh Betar Radio’s and the country’s radio broadcast infrastructure. Throughout the complete project phase, leveraged Paradise Solutions’ knowledge of the local market and Broadcast Solutions’ expertise in system integration from countless projects. The studios now run very smooth and give the users exciting possibilities to produce new content and develop new formats to meet the needs of the people of Bangladesh. The on-air studios, backup, news and edit studios each use a Studer OnAir 2500 audio mixer (18 faders). Broadcast Solutions equipped each of the studios for music and radio productions with a Studer Vista 1 (22 fader) console whereas the complete audio routing takes place via a Route 6000 matrix switcher, also from Studer. Bangladesh Betar chose Sennheiser MK4 microphones, JBL studio monitors and Beyerdynamic headphones. Program management takes place with the radio automation software from Winmedia. In addition, Winmedia has many other functions in the studios, such as ingest, editing, scheduling, streaming, playlist management, sales and traffic management and logging. Besides the technical planning and implementation, Broadcast Solutions was also responsible for the planning and production of the studio furniture in the control rooms. The systems were manufactured, pre-assembled and tested at the company’s headquarters in Bingen and then shipped to Bangladesh. Thus, a smooth installation was ensured on site, and Broadcast Solutions could implement the project in just 8 months.